Contactless payment service Apple Pay has officially launched in the UK today, as expected. It allows iPhone 6, 6 Plus and Apple Watch owners to make a payment by touching their device to a contactless reader, much like a contactless bank card. Users can set this up by adding a credit or debit card to the Passport app on their device. Users can also keep a finger on Touch ID to pay for services online from their device, for example when ordering a takeaway via Just Eat. This can also be done using an iPad Air 2 and iPad Mini 3. 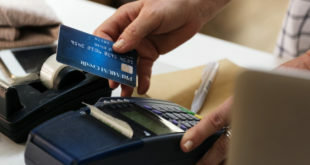 Each transaction is authorised with a one-time security code. Apple Pay will support UK credit and debit cards from American Express, MasterCard and Visa Europe, issued by several UK banks, including First Direct, NatWest, Nationwide Building Society, Royal Bank of Scotland, Santander and Ulster Bank. Other banks will follow by this autumn, including Bank of Scotland, Coutts, Halifax, Lloyds Bank, MBNA, M&S Bank, Barclays and TSB Bank. HSBC will get on board by the end of July. Retailers that will accept Apple Pay include Apple Stores, Boots UK, BP, Costa Coffee, Dune, JD Sports, KFC UK & Ireland, Liberty, LIDL, Marks & Spencer (M&S), McDonald’s UK, Nando’s, New Look, Post Office, Pret A Manger, Spar, Starbucks, Subway, Wagamama and Waitrose. Transport for London will also accept Apple Pay, so commuters can use their iPhone or Apple Watch to pay for travel. “The launch of Apple Pay is yet another step towards the mobile wallet and contactless agenda, and we expect this service will see significant pick up amongst iPhone users. Until contactless becomes more widely available however – on multiple operating systems and devices – the launch of Apple Pay is unlikely to revolutionise the retail payment landscape. “Having said that, retailers still need to be aware of new payment services such as ApplePay, as these services are allowing customers to make payments from any location at any time, just by using their mobile device. "Apple Pay’s launch is certainly good news for the UK, taking the country to the era of digital payments using the NFC technology. "What has always been a struggle is for Apple Pay and the competitors to build a large enough ecosystem of merchants and bank partners in order to enable immediate adoption. "While it is not clear why HSBC has decided not to support Apple Pay’s UK launch, it certainly rings alarm bells as consumers often have a ‘now or never’ approach to new technologies, easily deciding not to adopt for a long time if it is cumbersome to do so at the beginning." 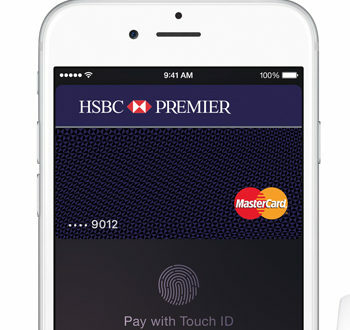 “Apple Pay might become the preferred form of contactless payments for consumers before long. Today’s launch of Apple Pay could dramatically accelerate the use on contactless payments by consumers and could increase sales of iPhones and the Apple Watch. “A significant number of consumers already have the technology to utilise Apple Pay which means they can ‘try it out’ with relative ease and no additional expense, unlike the new Barclaycard wearable contactless payment devices. “The launch of Apple Pay could revolutionise the retail landscape – digital wallets offer a wealth of opportunities for retailers and drive value for customers, making in-store payments more efficient, convenient and secure. However, it does bring with it some challenges that retailers need to be aware of. For example, data capture is not possible through contactless ApplePay. 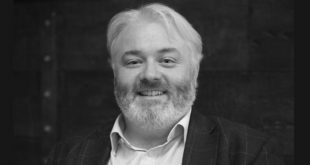 "Retailers will need to develop new ways of utilising data capture if they are to harness actionable insights, improving the customer experience by better understanding them and delivering more tailored service. Similarly, retailers will need to review the returns process. Using ApplePay means there will need to be reconciliation against the online purchase card and the ApplePay device serial number, which will change the retailers’ internal processes. 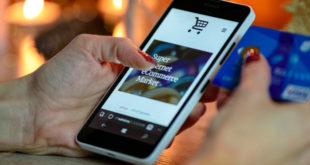 “Consumer demand for mobile contactless payments combined with the fact that 70 per cent of people in the UK own a smartphone means that the pieces of the puzzle are coming together for a seismic shift from plastic to digital.